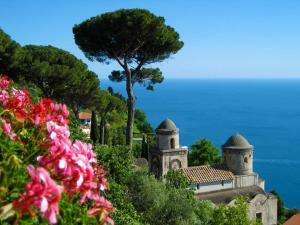 Ravello enjoys an incomparable position at the top of the cliff “suspended between the sky and the sea” – how it has often been described. 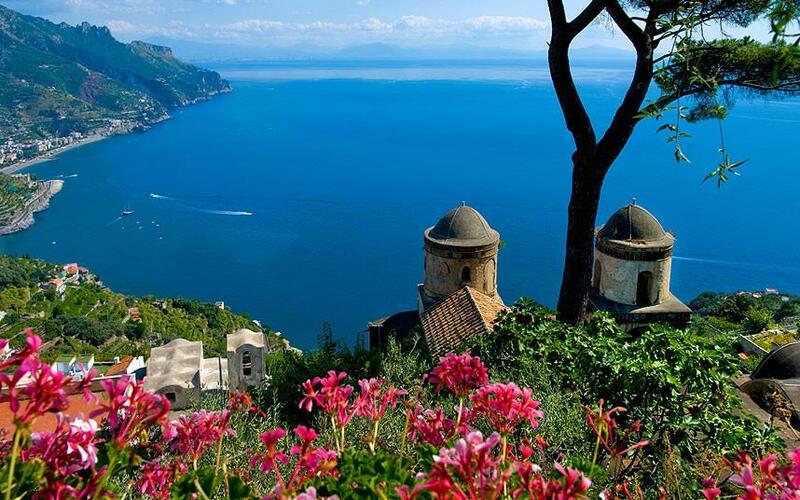 Only 7Km from Amalfi, Ravello is located in a more elevated point than other villages of the Amalfi Coast and this privileged position guarantees views to take the breath away. I think that one of the most suggestive panoramas can be appreciated from the infinity pool of Hotel Caruso. It is difficult to describe by words the feelings inspired by this scenario. I just would say you will feel to touch the sky with your finger. 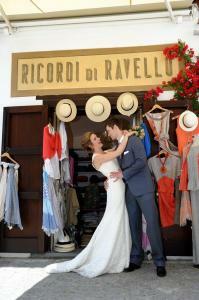 In this unique setting, you can cut the wedding cake and, then, continue to dance under the moon and starry sky: an extraordinary location for Ravello weddings. 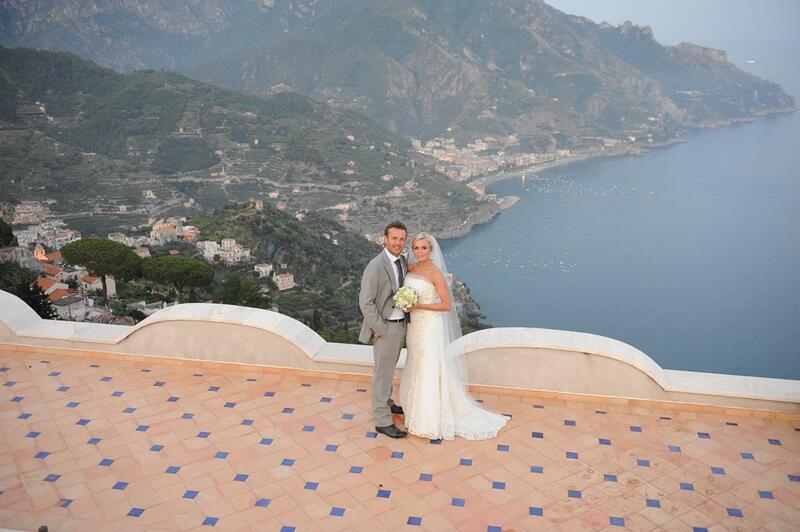 Of course, the impressive views are not the only reason to choose of getting married in Ravello. 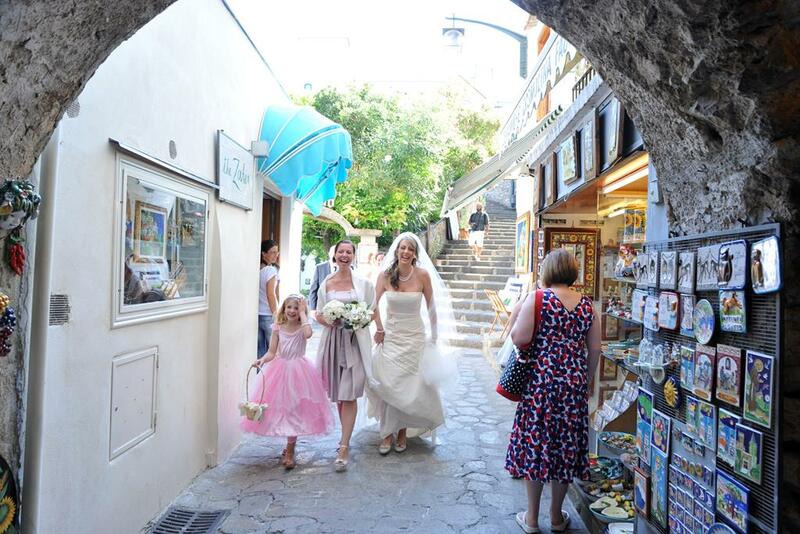 The whole town is a pedestrian area characterised by tiny streets with lovely shops, bars, restaurants and hotels. This contributes to create an intimate and friendly atmosphere. Guests staying in Ravello can choose to accommodate in a family run hotel, B&B or luxury hotels, which are all at walking distance each other. 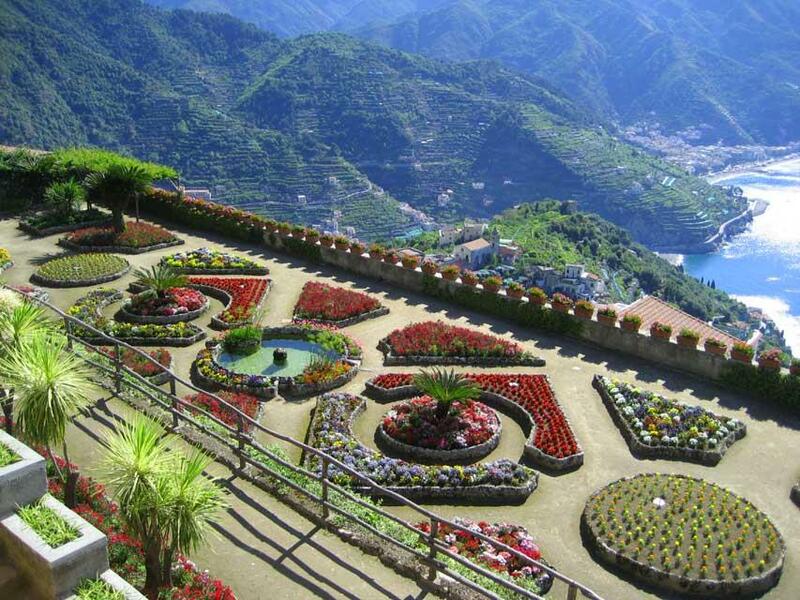 The main square in front of the Duomo is usually the meeting point for tourists and residents: all enjoining the mild temperatures of Ravello while having an espresso coffee or a good limoncello while seating at one of the bars of Piazza Duomo. 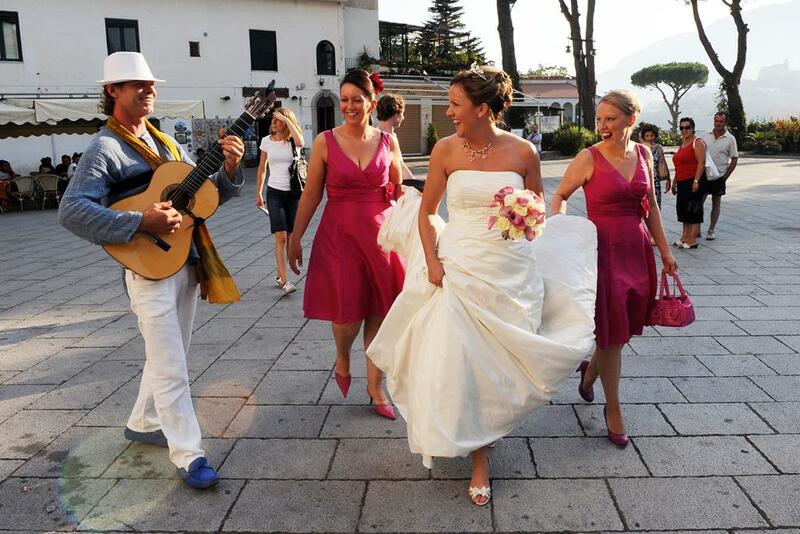 Being the heart of Ravello, the main square is also the perfect location for a cocktail after the wedding ceremony, ideally accompanied by a neapolitan duo of guitar and mandolin. 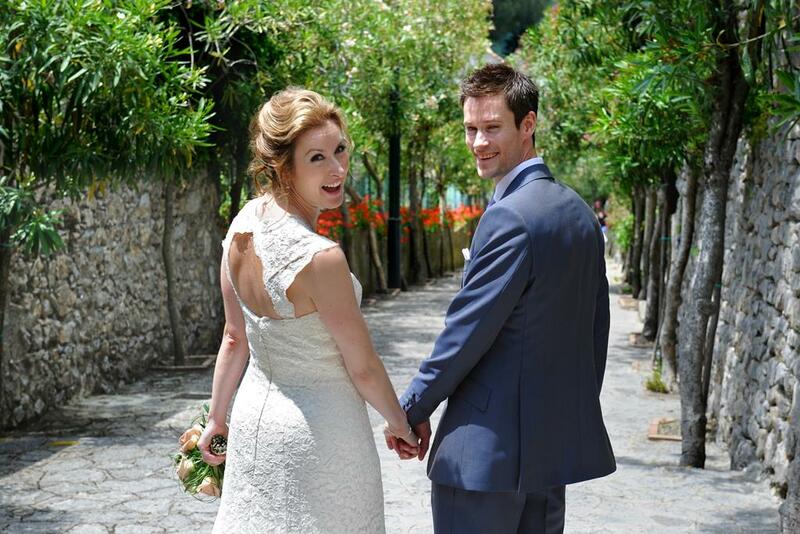 In the meantime, bride and groom can take their time to make some lovely photos in the most charming spots of the village or in the famous Villa Rufolo and Villa Cimbrone. 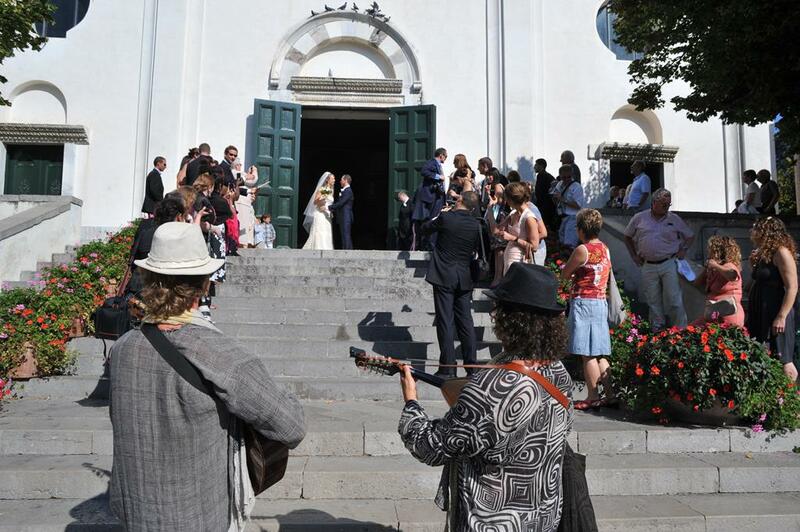 Another good reason to decide to get married in Ravello is the possibility to set a civil wedding in a lovely garden with sea view (which is something quite exceptional in Italy as civil ceremonies are generally performed in properties owned or authorized by the Municipality – read more here) or in one of the beautiful churches (one of which is available for protestant ceremonies too). 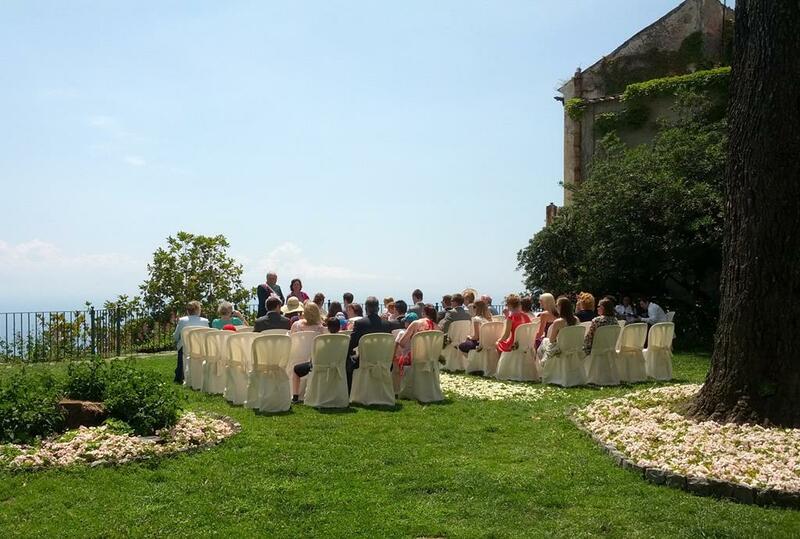 In terms of reception, the wedding venues in Ravello are really numerous, from the exclusive Villa Cimbrone to the picturesque local restaurants. 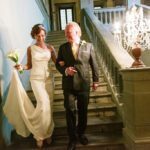 If you are spoiled for the choice, do not hesitate to contact Bellissimo wedding by clicking here to get additional information and a free quote.